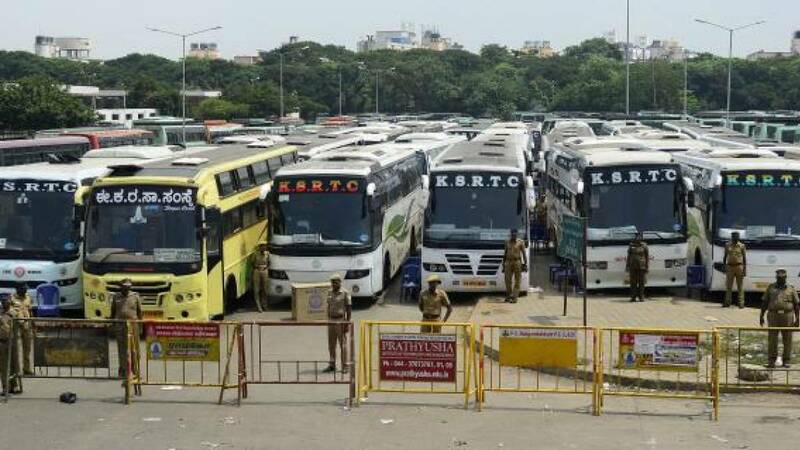 New Delhi : A complete ‘bandh’ in Karnataka to protest against the release of Cauvery waters has brought the state to a halt on Friday. The bandh effect can also be seen in capital as many schools, colleges and many private offices are closed in capital Bengaluru. #An complete bandh protest is declared in Karnataka against Supreme Court's direction to release Cauvery water to Tamil Nadu. # Most of the major IT industry in Bengaluru like Wipro Infosys has also declared holiday as a part of the ongoing protest. # The public transports was asked to stay off the road in order to follow the protest against SC. Metro, airport taxis and autorickshaws were asked not to bring out their vehicles on Friday. #The protests started from Karnataka on Monday after the SC ordered the state to release 15,000 cusecs of water from Cauvery to Tamil Nadu for 10 days. #Karnataka is saying that it does not have enough water for drinking or irrigation. # Former Prime Minister HD Deve Gowda will meet Prime Minister Narendra Modi on Friday to discuss the Cauvery issue.